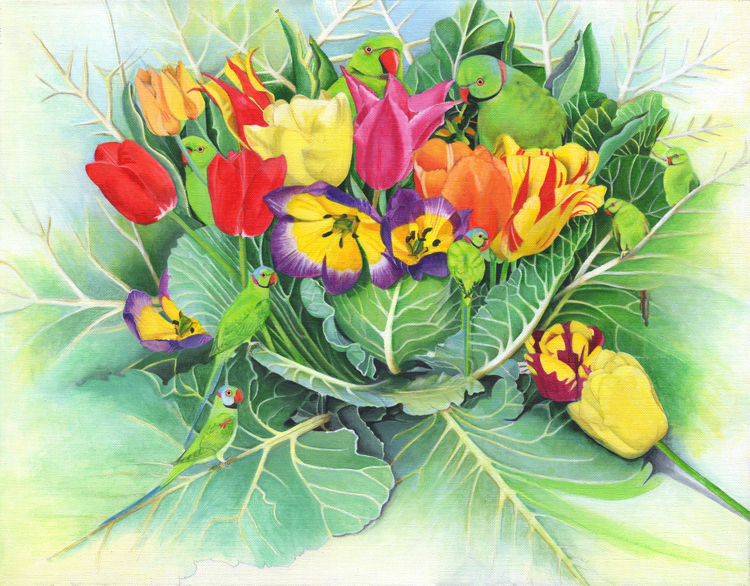 I am drawn to cabbages and their spectacular leaves, and to tulips particularly in the spring. I wanted to paint a still life with no background, just the leaves bleeding out to the edges of the canvas. Naturally, your eyes gravitate to the centre where you instantly see the coloured tulips, and suddenly, the green parrots of various sizes.